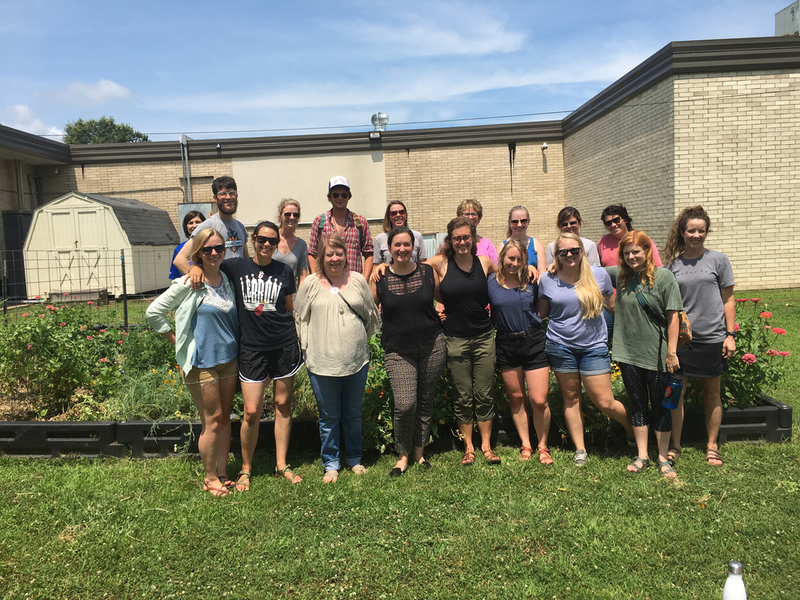 Amy Jones from Food Corps brought a team of educators from around the state to Dwight Elementary. The team learned about the Dwight garden, helped weed it, and harvested the produce. Produce from the garden has been shared with Dwight families, the battered women's shelter, and Freedom House.